In China, there are various social networks with a focus on different functions. Weibo is China’s most popular we-media platform, similar to Twitter. WeChat is China’s most popular chatting app that also offers the function of a news feed, ability to pay, book cinema tickets, flights, etc. 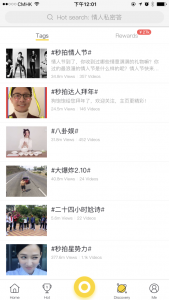 For short videos, Meipai might be the most popular platform in China. It usually has 250 million daily views. Some people even think Meipai is the leading Chinese mobile video platform. And it might be, thanks to Weibo. The two have now linked to each other, which has given Meipai stable and non-stop growth and traffic. Considering its huge group of users on the platform, it actually gives marketers another online social media platform in China in which to advertise. Before you engage in a Meipai promotional project, you need to know the 3 key functions that can help you conduct your marketing campaigns. To encourage users and different brands to do marketing and promotion on Meipai, they have a “reward” function. This function is very useful for brands to engage with their potential and existing clients through the User Generated Content collection. The activity organizer can launch a thematic competition with red packets, which have money rewards in them. Therefore, the users will be encouraged to take part in this activity by posting different, short videos in the hope of winning the red packets. The more “likes” they get, the more red packets they will get. Due to the links between Meipai and Weibo, and Meipai and WeChat, the competitors will tend to post and share their videos on Weibo and WeChat as well, which can help them generate more “likes”. At the same time, the organizers will generate more potential clients and lift their awareness. Under the limited budget, organizers can optimize their exposure on Meipai and other Chinese social media platforms. “Hash tags”, which exist on Instagram and Twitter as well, are also popular on Meipai. People can tag their videos in different related topic tags in order to generate more views. Users who then may be searching for a topic they are interested in could type in the key word with a # before in order to bring up all the posts that have been tagged with their search word. Videos will then appear in order of popularity. Brands could lift their exposures effectively by using this function effectively. The function of “Channels” actually divides videos into different types, which is convenient for users when searching for videos of a topic they are interested in. Some of these categories include “Hot”, “Friends”, “Beauty”, “Stars”, “Fashion”, “Social”, “Funny”and so on. “Hot” defines the group of most popular videos on Meipai. “Friends” is a channel full of the videos posted by your friends on Meipai. Moreover, the videos in the channel are ranked by popularity (ammount of views and likes they have recieved), and how popular their uploaders are. This function could be an efficient function for brands to define which KOL are popular and suited to their brands. For some special national festivals, Meipai will launch different campaigns. During the Spring Festival (Chinese New Year), for example, as tradition, Chinese adults will give children red packets within money to celebrate. Meipai organized a special activity to mirror this, which was entitled “Grab the red packets”. This campaign allowed users to generate red packets when they were watching videos recomended by Meipai based on their previous searches. 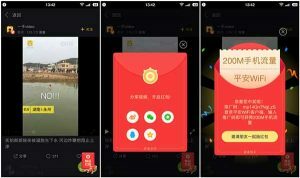 Meipai required users to share news of this activity on other Chinese online social platforms, such as Weibo or WeChat first, and then they would recieve their red packets. The number of users on Meipai will keep on increasing thanks to the users on Weibo and WeChat who pay more attention on videos. This Chinese online social platform is the must-do for brands who want to sucesfully promote their products or business in the Chinese market. Like WeChat, which allows users to shop by accessing various E stores and visiting stores and brands offical wechat accounts, in the near future Meipai might promote something similar, for example, shopping during watching. It could be another channel for e-commerce in China. 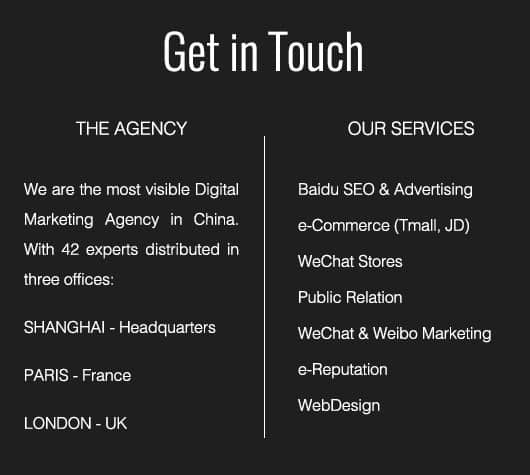 Meipai is a useful and ideal way to lift awareness and help you achieve a successful marketing campaign in China. NextA Perfume Brand creates a buzz around their ‘French story’ in just two weeks! I download Meipai last night and it was very interesting to know how to use. There are so many live stream with girls who explain how to makeup and which product to use to have a perfect skin and there are many people who watch it. There are also musician who play an instrument.